Robin Cox, B.A., Higher Diploma in Education, is the founder of YES! The organization began in 1987 under the name South African Youth Symposia (SAYS) and changed its name to Youth Empowerment Seminars in 1999. In 2017, on his retirement, Robin changed the name to Mentoring Matters, while keeping the focus on empowering young people to become the best they can be. Robin’s abbreviated Biography can be found here. SAYS pioneered multicultural national symposia, which were aimed at bringing young people of all ages together to prepare for the inevitable change of government and the death of apartheid in South Africa. Approximately 6000 adolescents attended SAYS and YES! gatherings over the years. Symposia also looked at the development, through training, of youth Life Skills, which included conflict resolution training. The latter seminars were built around a book written by Robin, On the Wings of an Eagle – a young person’s guide to living, now out of print. Robin’s education career spanned 40 years, during which time he was a Secondary School Principal for 8 of these years, and was always involved in multicultural education environments. During this time he coached sport extensively at regional and national level, was a boarding housemaster or assistant housemaster (for 18 years) and was involved in a number of community projects. He has mentored (at different levels) about 1000 adolescents from a variety of socio-economic backgrounds. In 1999 Robin and his family emigrated to New Zealand and, under the auspices of Youth Empowerment Seminars, he ran a series of one day Life Skill workshops for 15 – 17 year old students, focusing on self-image, relationship-building, communication and goal setting skills. Approximately 1000 students attended these seminars, representing 22 Secondary (High) schools. In 1999 Robin developed a Mentor Training Program for volunteer adult mentors working with students who had been identified with below average self-esteem. He has continued to develop this program always with a focus on the YES! Mission and Values. He has trained over 1000 volunteer adult mentors and run over 80 mentor training programs or workshops. He has also trained Mentor Trainers and developed a training program to facilitate this process. In addition, in 2004 he completed the writing of a Peer Mentor Program for use in schools, which is based on two Peer Support and Peer Mentor Programs he wrote between 1990 and 2002 and which were piloted at schools he was associated with. These programs were developed around pioneering material written by Elizabeth Campbell in Australia in the 1980s and were developed with her encouragement and support. He has trained many Peer Mentors, as well as some Peer Mentor Coordinators. Robin continues to develop his mentoring material, as well as writing material to encourage young people to reach their potential. In July 2006 he undertook a Winston Churchill Memorial Trust Fellowship visiting youth mentoring and other youth organisations in Canada and the United States of America. He relished the opportunity to network with people passionate about encouraging young people to reach their potential, gather more information about youth mentoring, as well as share his books and personal experiences working in the youth mentoring field. At the end of August 2006 he accepted a position as Career Transition Manager with the Schools Industry Partnership in New South Wales, Australia, which serves over 40 Secondary Schools in the Penrith, Blue Mountains and Hawkesbury areas of Outer Western Sydney. He delivered presentations to students covering topics such as: how to write a winning Resume; job interview skills; developing a good work ethic; developing Employability Skills and Hot Tips on how to Reach your Potential. He also ran Peer Mentor Training programs and developed the GR8 MATES School Based Youth Mentoring Program, which was piloted at three local High Schools between August 2007 and December 2009 and which included an ementoring component. He also developed a talk:Generation Y2Z: Inspiring Today’s Teenagers, which he presented to parent groups, while an adapted version was offered to Teachers. The Schools Industry Partnership Programs, which include organising Work Placements for approximately 3,000 students (who have selected some Vocational Education and Training courses) in their final two years at school, linking industry mentors with schools in Adopt A School Projects, as well as running conferences promoting Employability Skills and Enterprise and Entrepreneurial skills, are being funded by the Australian government. Married, with two adult children, Robin moved to Penrith, Outer Western Sydney, Australia in September 2006. In April 2009 Robin accepted an Associate Head position at an Independent Co-educational School in Brisbane (PP-12, 1500 students) Queensland, where he had responsibility for developing the school’s pastoral care program and a whole lot more. In 2015 Robin was awarded a Queensland Honorary fellowship by the Australian Council for Educational Leaders in recognition of his education leadership and contributions to the education of young people. Robin retired at the end of March 2017, as already mentioned, and has returned to New Zealand where intends continuing to develop mentoring and other resources aimed at encouraging adolescents to become the best they can be. Much of the focus of his work now embraces the development of resilient young people and his fascination with neuroscience research continues to shape his thinking on how to encourage young people to be the best they can be. Most of his work these days focuses on adolescents, though he continues to have an interest in how to educate and partner parents as they journey with their teenagers towards adulthood. In 2013 he had the privilege of running some pastoral care workshops in seven schools in different parts of India which were attended by about 250 teachers, while a goal-setting workshop was attended by about 100 teenagers. He and his wife now reside in north Brisbane. Personally motivated after recovering from cancer at the age of 10, Robin happily shares his passion to encourage young people to become the best they can be with as many people as possible, as he continues his life journey to become the best he can be with all his imperfections. 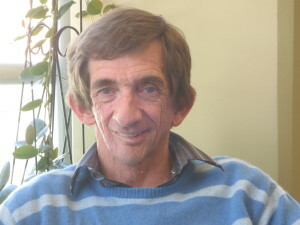 As a teenager Robin had to deal with tough challenges and decided to do this by pursuing his love of Sport, eventually gaining State or Representative Colors in Cross-Country, Cricket and Field Hockey, developed an outreach program to support disadvantaged children in an apartheid South Africa and had the privilege of being a School Captain, as well as captaining a variety of Sport teams. Robin’s gratitude to his family, teachers and Coaches has been expressed through his decision, at the age of 10 or 11, to become a teacher and to make a positive difference in the lives of young people whenever he could. His interests include most sports, jogging, golf, fishing, jigsaw puzzles (especially Wasgij!) reading and hiking (without the backpacks! ).